Draping the Canadian flag over a sphere. The flag is made up of a detailed wire mesh plane made up of a 64x64 grid that enables it to drape fairly realistically over a sphere. 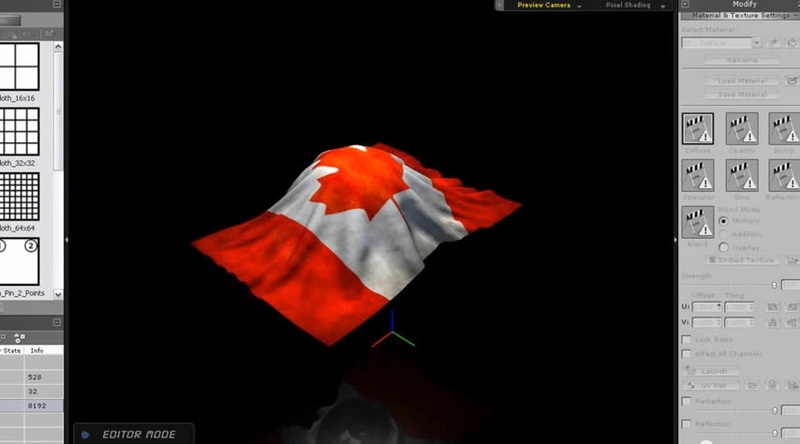 In the animation you watch the flag drop and fall over the sphere. My version of the flag dropping scene. I decided to do my own version of the flag dropping demo only instead of a sphere I used a wooden crate. I replaced the flag with a cloth printed with my website background image. Then I put the whole scene in a desert setting. For an added touch I put my avatar TET character (initially I had iClone Chuck) into the scene with a simple animation of him watching the cloth descend. I added some cheesy music just so you wouldn't be watching my effort in silence. Then I realized the final render was so short and quick that I decided to import it into MoviePlus to slow the whole thing down. This added a kind of blurry other worldly effect, that I kind of like, and it slowed my cheesy music down. Check it out in the video below. It's nothing spectacular but I think my background makes a great table cloth! There's only two more of these Quick Fix tutorials left with the next being Rendering Video with Post FX. It's also a fairly short lesson so maybe I'll look at combining it with the last tutorial so I can move on to actually creating something in iClone more worthwhile. That was really cool....yes, it does make a good cloth! I remember seeing this ability available when visiting CTA2....thought it was cool---but not understanding completely---in that, are you making these actions happen and importing them into CTA2 or do you make the whole animation in iClone? I watched some of the people work too---and I wasn't real impressed with the style of many. I feel lost with this iClone thing. In terms of character motion files you can choreograph the motions using a character in iClone then save just the motion data for those movements to a file. You then just drag the motion data file onto your CTA2 character from iClone to make them move just like your iClone character did. 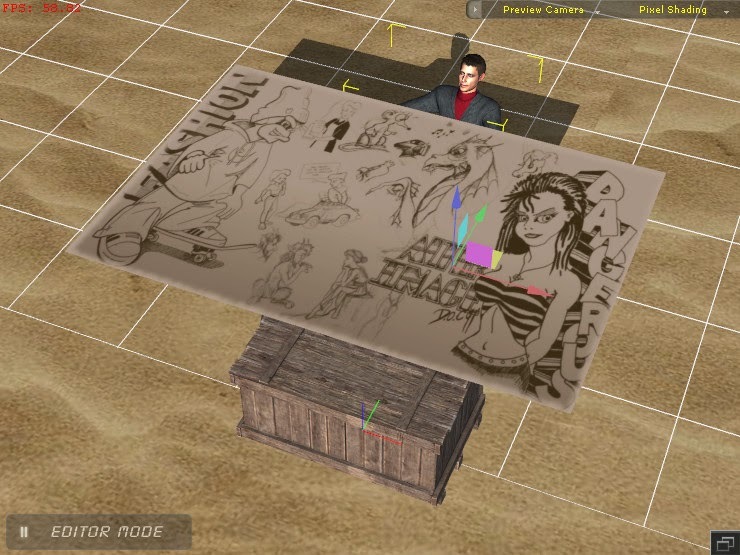 iClone can seem intimidating if you come to it cold but if you learn CTA2 first then the basic principles of character animation are virtually the same in iClone with an almost identical user interface. From there it's just learning the finer points of 3D animation that don't affect 2D animations.